You yawn. It’s been a long day. No, I mean, a really long day. You did a lot, but now that it’s over you don’t remember much. You’ve been dozing on your way home, keeping your eyelids open with the strength of Zeus. You magically manage to complete your nightly ablutions without collapsing in the sink. You crawl into bed. Pull up the covers. Aaaaand, you’re up. You’re awake. How? Why? You’re exhausted. But, your body can’t seem to chill out. OK. Let’s just check the mobile. Any new notifications? Lemme turn down the brightness. Oh, I wonder what she’s up to. Lemme see if his finsta story is interesting. Haha, the Bee Movie, but sped up. Oh, sugar honey iced tea. It’s three AM. So, could you catch what’s wrong with this story? Other than it being oddly relatable and, quite frankly, such a normal nightly routine that its biggest abnormality lies in me pointing out this platitudinous happening, it all seems normal. Right? And therein lies the problem. Let me explain. Being tired all the time isn’t right. Not remembering what happened during the day isn’t right. A probable cause? Your cell phone. We are in a digital age where we are inundated with a deluge of information. Trying to glean anything from today’s media is like trying to drink from a fire hose. Because of this “information overload,” we rely on technology more and our own memory less. Professor Ian Robertson of Trinity College Dublin found that a ¼ of all Britons did not know their home phone number and ⅔ had trouble remembering the birthdays of their immediate family members. (But, it’s in the Google Cal / iCal right? So, who cares?) The results are in and this is just the beginning. Perhaps our cell reliance is affecting our memories in other fashions–i.e. Being able to remember a digital copy of a photograph, but not the actual memory, for example. Are phone screens bad for your eyes? | Looking at cell phone screens in the dark. Is it bad? 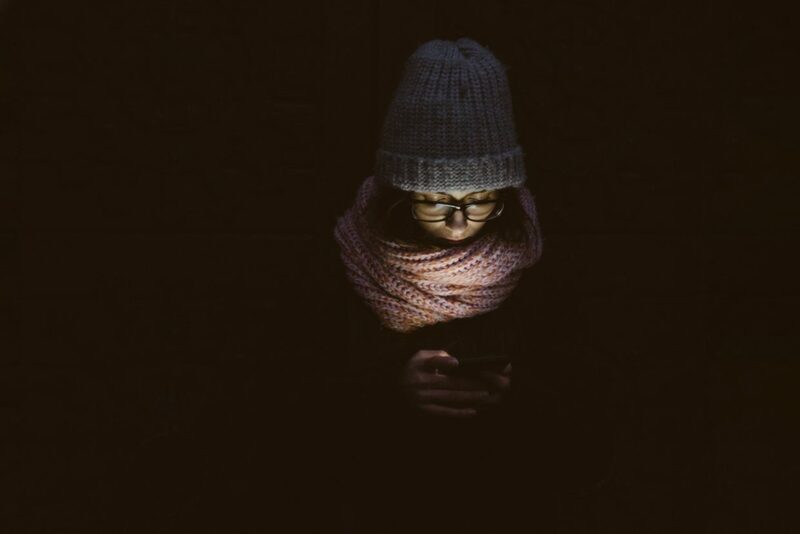 Blue Light is bad for you at night especially when you are looking at your smart phone, unblinkingly. Ah! The light! It burns! But, wait. There’s more! The blue light from personal electronic devices has also been linked to serious physical and mental health problems. The sun dictates our light-related circadian rhythm and when we keep getting blue light from our phones, even after the sun goes down, our bodies become confused. The additional blue light suppresses production of the hormone melatonin, which throws off your body’s natural sleep cues. No sleep = bad. No, we mean really bad. Of course, as with all things, everything in moderation can lead to a much healthier lifestyle. This health ranges from digital wellness to physical well-being. Just as a final thought, however, what price should we have to pay for this level of connectivity? Is our health worth this level of convenience?